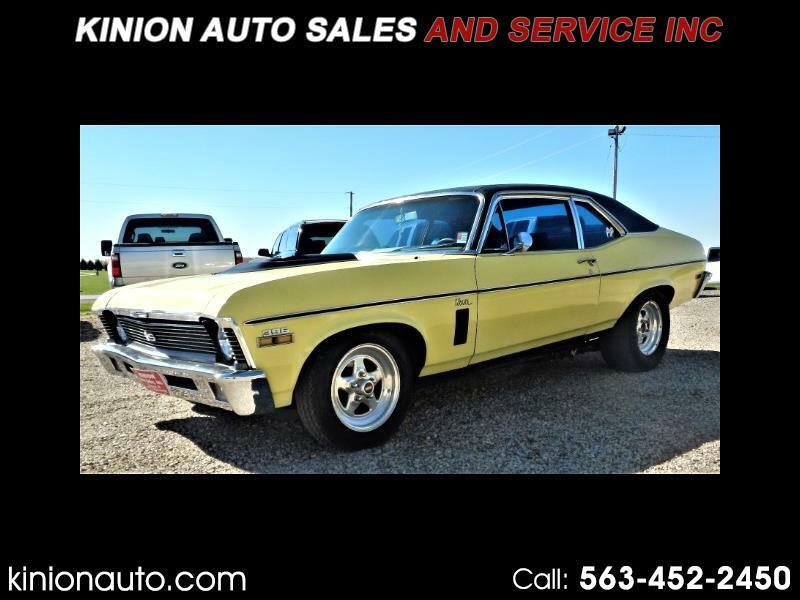 Used 1970 Chevrolet Nova Base for Sale in Clarence IA 52216 Kinion Auto Sales and Serivce Inc.
1970 Chevy Nova featuring a 482 Big Block with a 400 Turbo Transmission and a 3000 Stall Convertor. Nostalgic Street or Strip Car 12 bolt Posi rear-end with 4.10 gears. Full roller motor, cam lifters, and rockers. Big tube, full length headers with 3 inch exhaust, with flow master mufflers. Car Runs and Sounds Great! Car features all original body panels, has always been a rust free car, check out the pictures! Car has Caltrac bars on the rear with sub frame connectors. Bucket seats, full interior. Body is great on the car, paint is older, but still shows good. Your chance to own a rust free Nova that is a blast to drive! All vehicles sold as is, no warranty. Message: Thought you might be interested in this 1970 Chevrolet Nova.